Fondazione Roma dedicates an exhibition to the Roman Baroque. At Palazzo Cipolla, until the 17th of July, we find approximatively 200 artworks which retrace the cultural movement born in the capital with an exhaustive, but also synoptic journey. It is the seventeenth century in Rome, a time of great cultural upheaval. Keplero and Galileo Galilei’ scientific discoveries came forward. On the other hand, the Church just got over the pains of Catholic Reformation and needed to attract new and old believers by raising passion and astonishment for the Divine. So the three grate philanthropic Popes Urban VIII Barberini (1623-1644), Innocent X Pamphilj (1644-1655) and Alexander VII Chigi (1655- 1667) began a series of commissions bound to change the formal styles in painting, sculpture and architecture all over Europe. 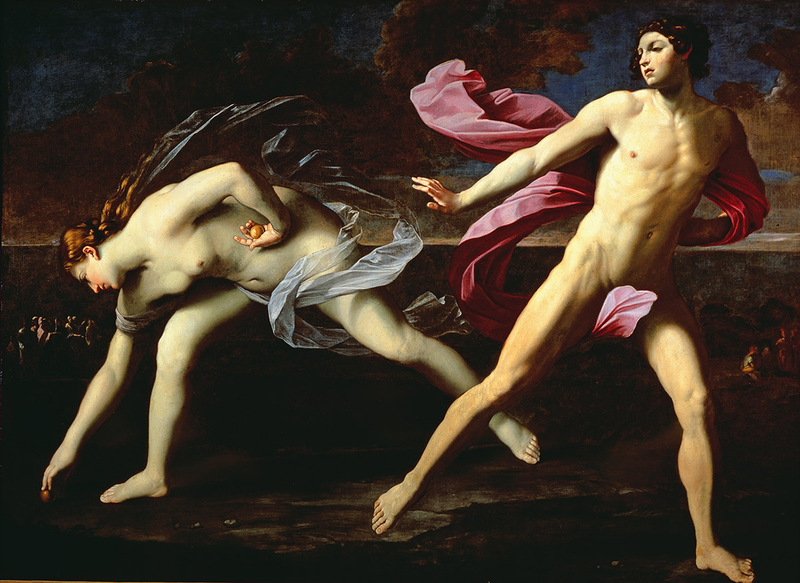 We also find the Guido Reni’ full of pathos classicism with Atalanta e Ippomene, composition characterised by fair balance between energy, passion and geometry. There is a section dedicated to Urbano VIII’ relations with his favourite artists. 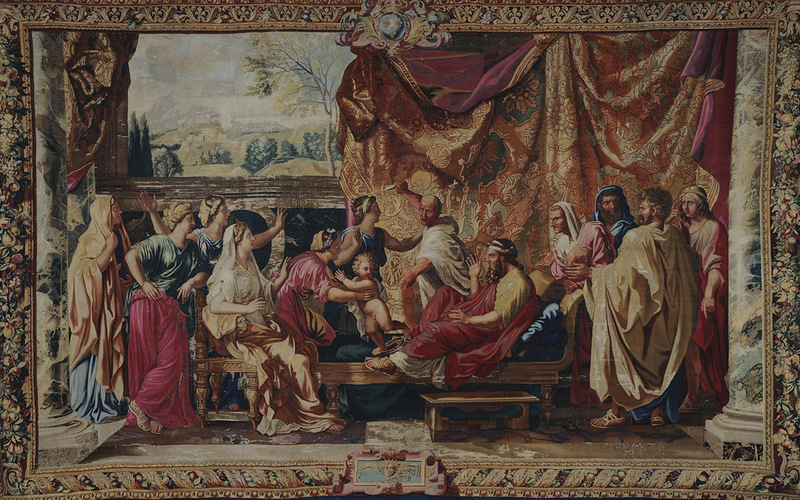 A wonderful tapestry of Gobelins Manufacture drawn by Nicolas Poussin deserves attention. 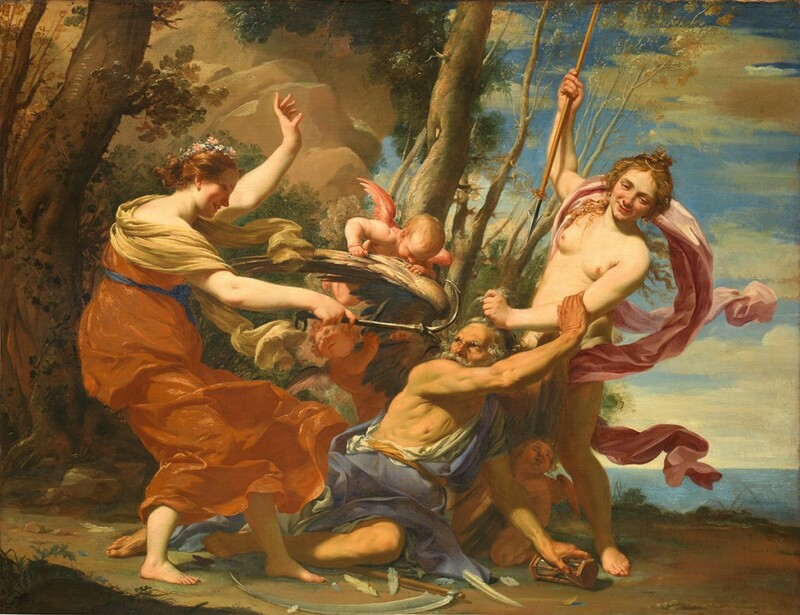 We have seen before several Poussin’ tapestries in Rome thanks to an exhibition organized some years ago by Villa Medici. Memory awakens in a renewed wonder. In the same section we also find Lorrain, Vouet and Van Dyck, the latter with Virginio Cesarini Portrait, painting coming from Saint Petersburg’ Hermitage characterised by an outstanding expressive power and an incredible modernity. The historical antagonism between Bernini and Borromini is here told through the Fontana dei Quattro Fiumi in Piazza Navona’ story, of which we can see the sketch. Both participated in the competition, Bernini unarguably won out. The commissioner Pope Innocent X said, according to legend: “You should not have seen a Bernini’ work not to realize it”. Lots of archival material as well, such as drawings, sketches and books describing the events of a city that went through a period of great change. We would like to point out the Bernini’ sketch for the statues of Sant’Angelo bridge and the Ecstasy of Saint Teresa (coming from the Hermitage in Saint Petersburg). Along the way find Loth and his daughters, a beautiful painting by Giacinto Brandi loaned by the Museum of Roman Baroque in Ariccia, part of an old acquaintance of MyTemplArt’ collection, the lawyer Fabrizio Lemme. The last section illustrate the other side of 17th century: the one about Landscape and its beginning as gender painting. We find The Landscape with the Sacrifice (1599-1600) by Carracci, where the landscape opens up toward the horizon and it is coprotagonist in the scene together with the sacrifice, placed in the upper side. Barocco a Roma is not an exhibition limited within the four wall of a museum; it dialogues with the city thanks to a full programme of collateral events. For further information, you can visit the site www.mostrabaroccoroma.it.